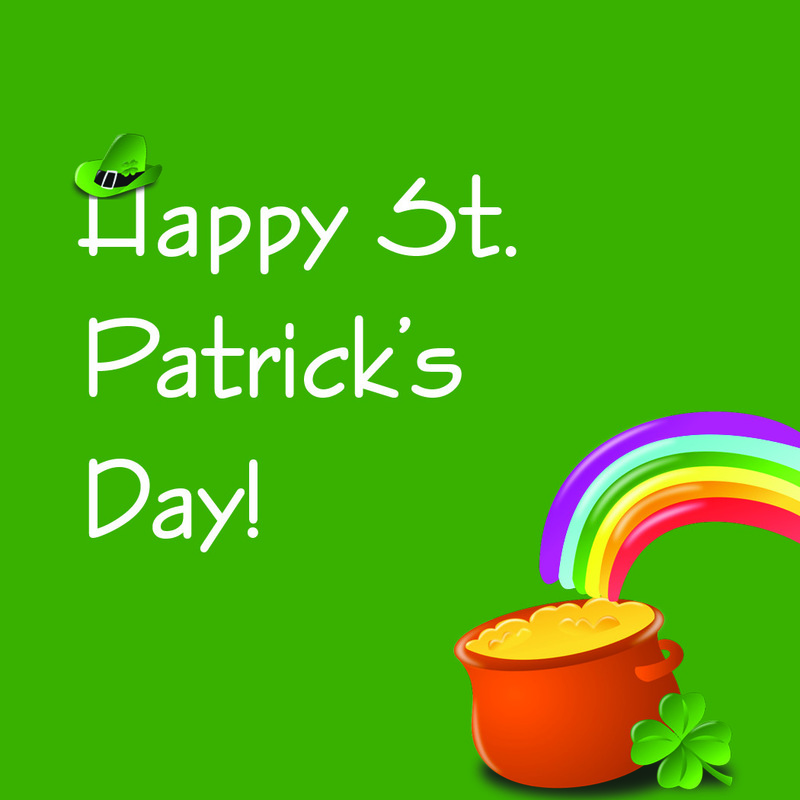 Don’t test your luck, be sure to fill out your FAFSA! It’s award letter season! An award letter is an electronic or paper notification sent by a college, university or career tech after you’ve completed a FAFSA (Free Application for Federal Student Aid) and applied for financial assistance. These award letters indicate the amount of financial aid you may receive for your education for the 2019-2020 academic year. After reviewing your letter(s), you might find that the amount of aid awarded to you in the form of federal and/or state grants, known as free money, won’t cover the total cost of college. Before opting for federal student loans to help with expenses, start (or keep) researching available scholarships. A scholarship is another form of free money for college that doesn’t have to be paid back. Scholarships are often competitive, but by putting in the work, you may be able to shrink your remaining school balance and limit – or eliminate – the need for a student loan! There are many ways to search for scholarships. First, check the school you’ll be attending. Many campuses have foundation offices that provide scholarships to eligible students. Look for these scholarships each year you plan to attend. Your college’s financial aid office can also help you identify different types of scholarships. Other sources of scholarships include private businesses, employers, churches and community organizations (YMCA/YWCA, Big Brothers Big Sisters, Rotary and Elks clubs, etc.). These scholarships are often posted online and typically require an application specific to each award. Save time by accessing the free and trusted databases at OKcollegestart.org and UCanGo2.org. 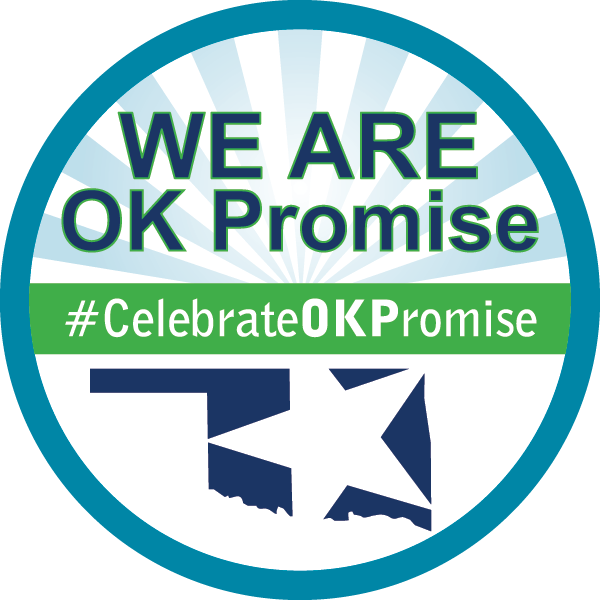 Both sites compile thousands of scholarships available to students in Oklahoma and nationwide. Only after you’ve exhausted all options for free money should you consider student loans. Remember, student loans must be repaid with interest, even if you don’t complete a degree, while free money from grants and scholarships does not have to be repaid. Finish the FAFSA this February! The Free Application for Federal Student Aid (FAFSA) has been available since October 1, but that doesn’t mean it’s too late to apply! You can still apply to receive federal and state student aid in the form of grants, work-study and loans by submitting your FAFSA. Many students don’t apply at all and forgo FREE money for college! Below are some common reasons students miss out on financial aid. Myth: If I’m not poor, very smart or super-talented, I won’t qualify for financial aid. Reality: While it is true that the FAFSA is a need-based program, there are many factors other than income that go into the calculation. You never know if you qualify unless you apply. Plus, the FAFSA is used for more than just federal aid. Many universities and foundations require that you complete a FAFSA to be eligible for their scholarships. Myth: I have several scholarships lined up, so I don’t need to submit a FAFSA. Reality: College expenses include more than just tuition and fees – don’t forget about, books, room and board and transportation, among other potential costs. Submit your FAFSA to explore other funding possibilities in the event that your scholarships don’t cover all of your costs. You can always turn down aid that’s offered to you. Myth: I’m going to pay my own way through college, so there’s no need to complete a FAFSA. Reality: Paying your own way through college is a great plan, and completing the FAFSA could allow you to keep more of that money in your pocket. Applying for federal aid has become easier and can significantly reduce your financial burden. A few minutes of your time is definitely worth the potential for thousands of dollars in aid. Complete your application for federal student aid today at FAFSA.gov! 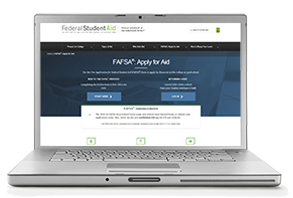 Submitting your FAFSA to find out your eligibility for federal and state aid is definitely a huge step in the financial aid process, but it’s only the first step. After your FAFSA has been processed and you’ve visited with the financial aid office at your school(s) of interest, watch for an Award Letter from one or more of those institutions. The letter may be sent electronically or via the US Postal service. It’s important that you read each Award Letter carefully, for it describes the types and amounts of financial aid the college or career tech can offer to help you pay for one year of higher education. Types and amounts of aid the school can offer you; this list is often called a financial aid ‘package’. Now, do a simple calculation. Subtract all of the financial aid shown on your Award Letter from your Cost of Attendance. This will determine your estimated Net Cost. The Net Cost is the out-of-pocket amount you’ll be expected to pay. You may hear this referred to as unmet need, or ‘the gap’. It’s possible that your Net Cost could be zero if your financial aid package covers your whole Cost of Attendance (a negative amount would count as a zero). What options are available to help you pay the Net Cost? You don’t have to accept all of the aid offered to you, especially when it comes to borrowing student loans. A monthly payment during college may be less expensive than a loan payment with added interest after you’ve completed your education. 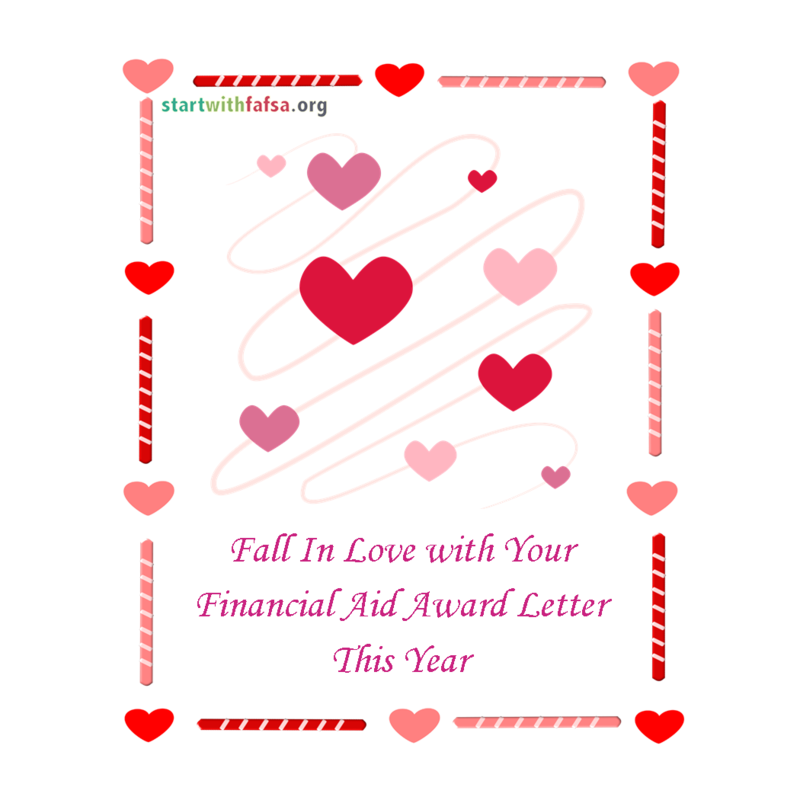 Each award letter will give you a deadline to accept or decline some or all of the aid by a specified date. Always keep track of deadlines. If you receive more than one Award Letter, be sure to determine what your Net Cost would be at each school. The schools will most likely have different packages to offer. Some of the language of the FAFSA (Free Application for Federal Student Aid) may be unfamiliar to you. There are plenty of FAFSA acronyms you may not recognize. To help you decode FAFSA language, here are a few acronyms to familiarize yourself with as you go through the college financial aid process. COA – Cost of Attendance (COA) is an estimate of the educational expenses for a particular college or university. The amount includes tuition, fees, room and board, books and supplies, and miscellaneous expenses. Every school will have a different COA, but schools will list their COA on the award letters they send to students. DRN – A Data Release Number (DRN) is a number that is assigned to your FAFSA. The DRN will help financial aid officers and customer service representatives locate your application and make changes, if necessary. You can find your DRN in the upper right hand corner of your Student Aid Report (SAR) or on your FAFSA confirmation page. EFC – An Expected Family Contribution (EFC) is a number that’s used by financial aid offices to determine your federal student aid eligibility. 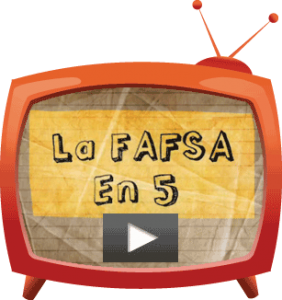 All the information you report on the FAFSA helps calculate your EFC. The EFC is not the amount you’ll have to pay for school or how much aid you’ll receive. It’s a number that helps financial aid offices calculate your financial aid package. FSA ID – A Federal Student Aid Identification (FSA ID) is your username and password for filling out the FAFSA. It also serves as your electronic signature on the application. This ID allows you to return to the application at a later date, utilize the Data Retrieval Tool and access your financial aid history. The student and one parent will need an FSA ID. SAR – A Student Aid Report (SAR) is a form that you’ll receive after you’ve submitted your FAFSA. It’s a summary of all the information you entered on the application and a general overview of your federal student aid eligibility. You may receive a paper or electronic version of your SAR. You can always access it by logging into FAFSA.gov with your FSA ID. It will also report your EFC. After completing your Free Application for Federal Student Aid (FAFSA), you will receive an email with a link to your Student Aid Report (SAR). 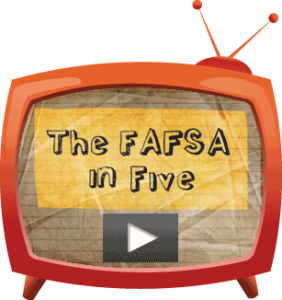 The SAR is a document that recaps the data you provided on the FAFSA and offers some basic information about your eligibility for federal financial aid. On this SAR, you may read that you’ve been selected for verification. Typically an asterisk appears next to the Expected Family Contribution (EFC) number near the upper right corner on the SAR, which indicates your information must be verified. Verification is a process in which the school’s financial aid office must confirm the information provided on your FAFSA is accurate. About one-third of all students are selected for verification because questions may have been left blank, the data provided is inconsistent, or they’re just randomly chosen. If this happens, don’t worry. The financial aid office at the schools you’ve applied to will contact you and request additional documentation they’ll need to complete the verification process. Be sure to respond promptly and meet all deadlines set by financial aid personnel. After you submit the requested materials to your school’s aid office, follow up with them to ensure it’s been received. Remember, you must complete the verification process in order to receive any federal or state student aid. If you have questions about the process, contact your school’s financial aid office.